Kate is a native Seattleite. She grew up skiing, hiking, kayaking, camping and playing Ultimate Frisbee. After completing her undergraduate degree in International and Intercultural Studies at Pitzer College in California, she returned to the PNW for the beauty of the water and mountains. 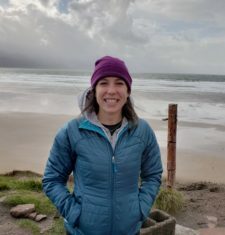 Kate joined the Outdoors for All team in the fall of 2018 after earning a master’s degree in Nonprofit Leadership from Seattle University. She brings five years of development, communications and event management experience to the organization as well as a passion to make outdoor recreation accessible to people of all abilities. In her free time, she serves as a volunteer coach for a middle school Ultimate Frisbee team, plays for and captains an elite mixed Ultimate Frisbee team, hikes with her dog, and heads out to Vashon Island to kayak.